ahead on Sunday, March 13! Click here to view bulletin announcements for February 27, 2011. New Group for Women & Girls! Discover the way you shine! Recognize pearls for your journey! Ride the wave of God’s dream for your life! 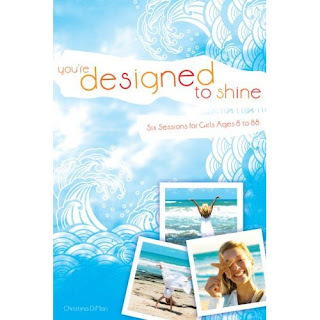 "Designed to Shine" is a 6-session experience open to girls & women ages 12-120! Our first session meets March 13th at 9:45 a.m. in the "Luther Room" of the north hallway at St. John's. Bring your mom, your daughter and your female friends--look for the beach towel door marker! Opportunities to Connect at St. John's! So many things coming up at St. John's! On Tuesday, Feb. 22 at 6pm join the Birthday/Anniversary Dine Out group (those celebrating birthdays and/or anniversaries in January and February) as they "dine out" at Napoli's Italian restaurant, downtown Norfolk. Meet some new friends over dinner! On Thursday, Feb. 24, our PrimeTimers (those in the "prime" of their life!) will meet at 11:30 am for devotions, lunch at noon, and entertainment. Everyone welcome to join this monthly activity. Don't forget -- Financial Peace University begins this Sunday, Feb. 27 @ 6:30 pm. There's still time to register by calling the church office! Click here to view the February 13, 2011 announcements. High School Students... Do you have special gifts for ministry? Spend a day at the Operation Idea Bishop’s Initiative with Nebraska Synod ELCA Bishop Dave deFreese and learn more! This retreat begins Friday, February 18th at 5:30 p.m. and goes through 3 p.m. Saturday, February 19th at Holling House, Carol Joy Holling Center, near Ashland, NE. This event is FREE for all interested students, but you must pre-register. For more information contact: Pastor Ed or Tracy at 402-371-1985, on facebook, or at stjohn@cableone.net! Click here to view the February 6, 2011 bulletin announcements. Click here to view the January 30, 2011 bulletin announcements. Jesus promises, "I have come to give you life, life in abundance." What a joy it is for us to share with you our Lord's gift of abundant life! At St. John's, we seek to be God's community of grace where all people are welcome. Here we lift high the cross of our Lord Jesus and proclaim His love for all people. Here we welcome everyone to our Lord's Table of love and forgiveness. Here we help parents nurture the faith of their children. Here we share our joys and our sorrows, knowing God can heal. Here we celebrate each person's gift of faith and service. 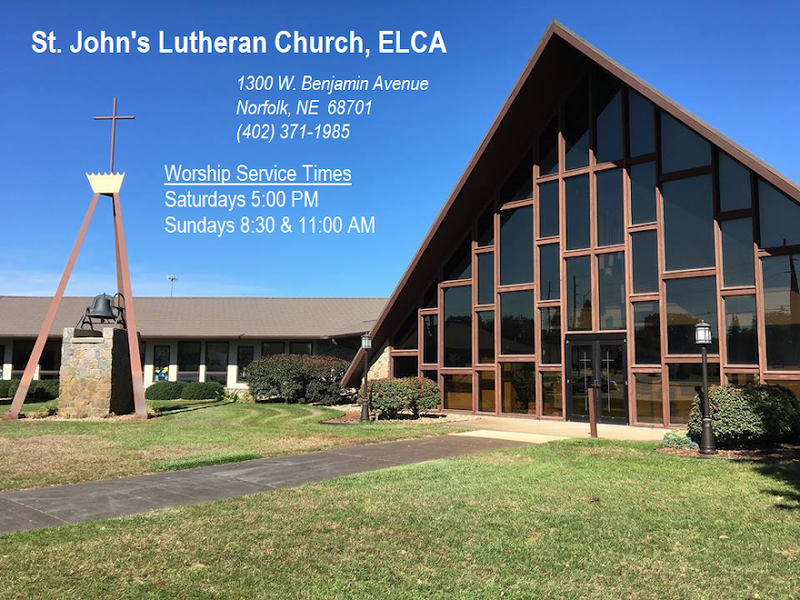 Come and see the place our Lord has prepared for you at St. John's! We welcome you to worship, grow, pray and serve with us.